We’re finally emerging from the “freezemageddon” we experienced earlier this year, and the garden and landscape are emerging with a vengeance. I was expecting much more cold damage than I’ve seen so far this spring. 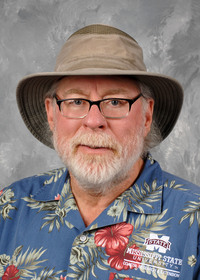 Although it is likely that we’ll see more damage as the year goes on, early indications are positive. Loropetalum is one of the landscape shrubs I’ve been most impressed with in terms of its ability to bounce back. This spring, the flowering has been one of the best I’ve seen in quite a few years. Loropetalums have been flowering with such abundance that I’ve been getting quite few calls asking for the name of these shrubs. And why not? Loropetalum should be a staple landscape shrub in every garden. There are loropetalum selections that are perfect for any landscape, from large shrub/small-tree forms to dwarf and trailing varieties. The straight species has green foliage, and I don’t see it much. My favorites are the burgundy-leaf varieties, especially when they’re grown in full sun where the best color development occurs. When grown in shady situations, much of the foliage remains green. 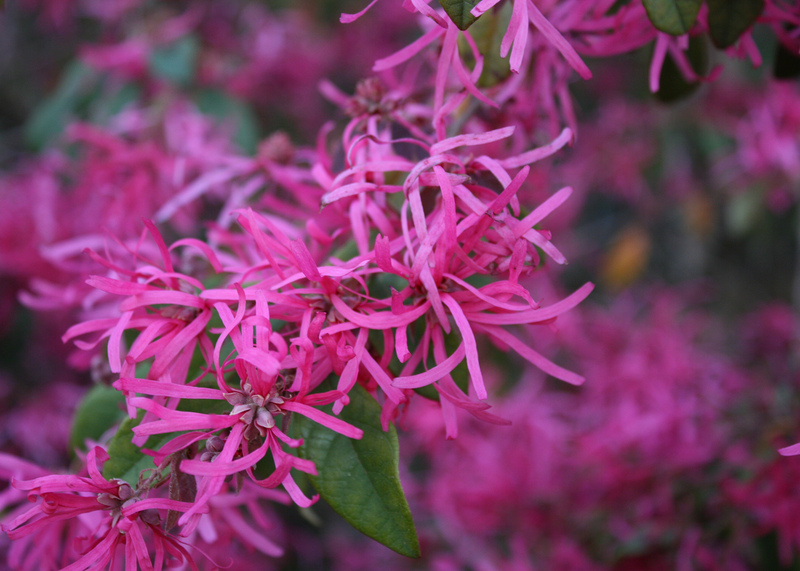 Loropetalum typically begins blooming in early spring and then sporadically through the rest of summer. I love the pink to red flowers of the burgundy-leaf selections. The flowers of loropetalum are unusual, having strap-like petals reminiscent of the flowers of a winter-blooming favorite, witch-hazel. This feature is not surprising since they are in the same family. Because of the strap-like flowers, loropetalum is commonly called Chinese fringe flower, and it is native to China and Japan. The selection called Burgundy was named a Mississippi Medallion Winner in 2001, and it is still a landscape favorite. This selection will grow to 10 feet or more if left unpruned or trimmed into a fine small tree form. The foliage is reddish purple and can turn bright orange in the cool fall air. Burgundy’s flowers are hot pink and have a delicate fragrance. 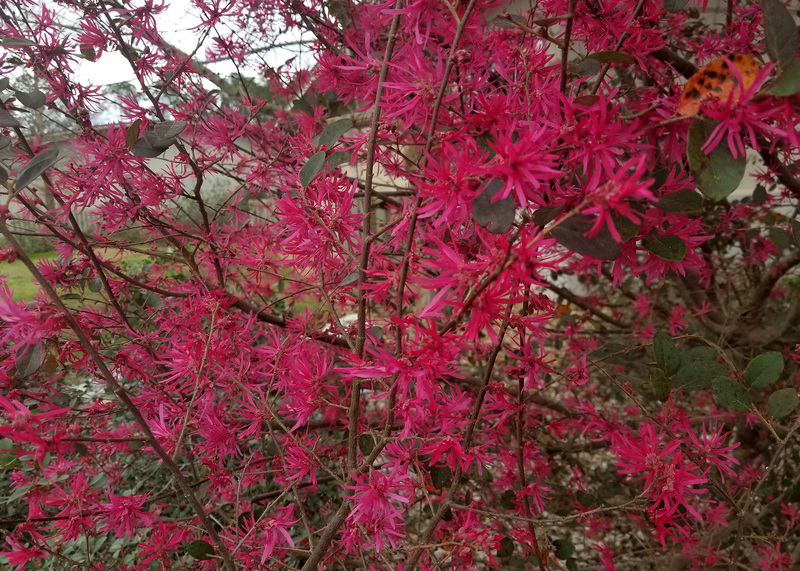 Ruby loropetalum is a smaller form that freely flowers all season with pretty pink flower clusters. New foliage emerges ruby red before maturing to dark burgundy. I really like the distinctly weeping Purple Pixie loropetalum, which makes it a candidate for the spiller plant in a combination container. The evergreen foliage is a deep purple-burgundy. As a ground cover, Purple Pixie spreads up to 4 feet wide and only about 1 foot tall. Loropetalum is also a good choice when considering watering needs. This plant tolerates the drought conditions we frequently experience in our Mississippi gardens and landscapes. One of the most common mistakes gardeners make when planting loropetalum is planting too deeply. Never plant deeper than the top of the container, and dig the hole at least twice as wide as the container. Amend the native soil with good organic matter when filling in the hole. This material will give the loropetalum roots a good base to grow out into. Finish with a 2-inch layer of mulch to conserve soil moisture and prevent weeds.